I believe this is the fifth Samuel Adams beer I've reviewed here on the site. This is kind of weird considering how many tasty beers Sam Adams makes and the fact that I've tried a good majority of them. Oh well, it's hard to review them all! When I first got some Whitewater IPA, I wasn't exactly sure what to expect. Sam Adams beers tend to be on the hoppier side, especially for a big-name American brewery, which I'm pretty damn happy about. So, trying their Whitewater IPA, I was expecting a full-on hop fest. Samuel Adams Whitewater IPA pours a cloudy, hazy gold color not unlike many Hefeweizens with a nice thick, long-lasting white head. Aromas are of restrained piney hops (compared to a normal IPA), wheat toast, and hints of citrus peel. Tasting brings a creamy mouthful of yeast and wheat flavors, a moderate amount of West Coast style hops, followed by sweet malts and an oddly vague sense of citrus and fruit, with a bitterly spiced finish. I wouldn't be lying if I'm a bit confused by this beer. I understand that it's supposed to be a White Ale/IPA hybrid, but to me, it could have been more flavorful. The hops are a touch too restrained, as are the citrus and fruit notes. It reminds me of the Stone Brewing Cali-Belgie IPA/Belgian hybrid (review here) I tried a couple weeks back in that they both have the flavors of two styles of beer, but the end result is somehow lackluster. That being said, it's still a tasty beer and I would drink it again. 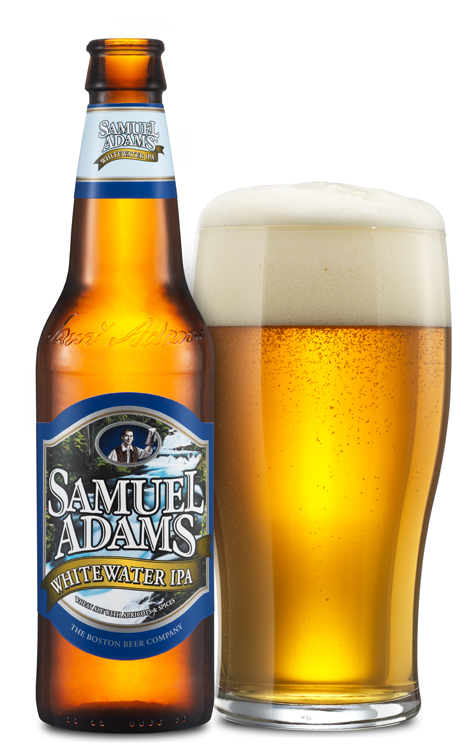 It's just missing that WOW factor that would make it a great beer like several of Sam Adams' other brews. 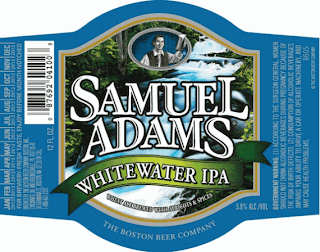 Drink This: if you want to try a White Ale/IPA hybrid beer. Don't Drink This: if you're looking for something to blow your socks off.